Burj Al-Luqluq Social Center Society organized, in cooperation with the MoE, a basketball training course for the physical education teachers. 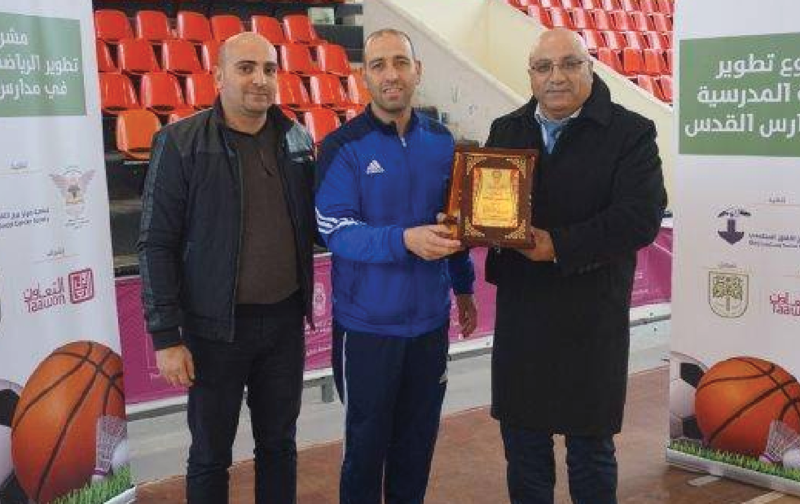 The training was executed within the Schools’ Sport Development project supervised by the Welfare Association and funded by the Arab Fund for Economic and Social Development. The training continued for three days from the 2nd to the 4th January 2018 at Sariyet Ramallah headquarters with the participation of 25 male and female teachers from Jerusalem, in the presence of a number of qualified trainers including Naser Badarsawi, Anan Daraghmeh and Ibrahim Habash. The training course focused on the basics of different games including handball, volleyball, basketball, table tennis and gymnastics.